Whenever one pauses to complain about the inexorable decline of standards in this world there always seems to be some cad willing to dispense with conventional wisdom he picked up from the nearest church bulletin or random fortune cookie. Most notable among these hackneyed phrases being, "Change is inevitable." And while this may be so, a more contemplative man is always vexed by why those changes seemingly always have to be for the worse. Earlier this annum saw closure of one of the institutions of New York City. The Waldorf Astoria Hotel originally opened in 1931 as a marvel of Art Deco elegance and quickly became synonymous with the best of the city. 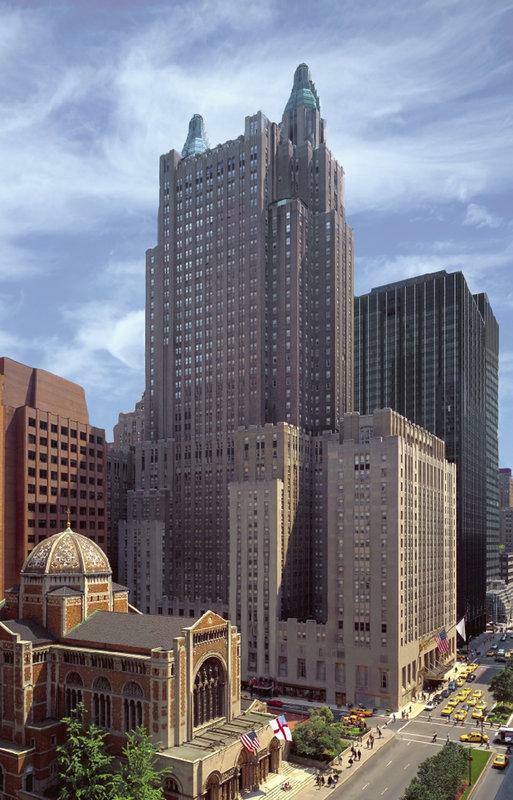 Until recently it was owned by the Hilton family who resided in a suite overlooking the metropolis. Room rates were reasonable and one could tread the hallways in the footsteps of more notables than can reasonably be noted in this small space. Unfortunately, the landmark was sold to Chinese developers in 2014 for $1.95 billion and the Chinese immediately commenced doing what they always do, wrecking what they claim to value. The greatest asset of the property was its history and the Chinese have chosen to gut that in favor of converting the structure into bland monotonous condominiums, of which New York already has a more than ample supply. There were the typical overtures to maintaining a few areas as traditional hotel rooms, but this was only to curry favor with the appropriate city boards. Since the original plans were approved the new owners have wasted little time in laying waste to the magnificent structure, adding even more overcrowded condominiums with ever diminishing room sizes. While the St. Regis and to a lesser extent The Plaza (itself ruined a few years ago) continue to maintain some of the mystique of glamour, it is an urban attribute swiftly fading away. On the retail side, down at Palm Beach (not only the home of Trump's winter White House, but a familiar favorite with Russian emigres, including a former Mayor who was a Romanoff) the lovely Cartier boutique will be gone this year. Following nine decades on the island its second oldest jeweler announced they would vacate the premises. Worth Avenue will now seem worth quite a bit less. It is not only those who cater to the greats which are departing the scene. Among the monoliths of Old Hollywood just two remain, Kirk Douglas and Olivia de Havilland, both of whom are centenarians. While one certainly wishes both to be with us for another hundred years the odds are most definitely against it. To be sure, minor stars of the later generation remain, such as Anne Margret and others. Yet these two former individuals are the last living links with the genuine Golden Age. Moreover, the venues of the stars are being snuffed as we speak. In New Delhi, India, the iconic Regal film theater is closing after 85 years. The colonial era facade in Connaught Place was a fixture of the area and among the last of the grand movie palaces anywhere in the world. Its final showing was of the Bollywood classic "Sangam" or "Union of Two Hearts," though throughout had hosted entertainers ranging from British theater to the Russian ballet. In place of the venerable edifice will be a Plexiglas and plastic multiplex. Speaking of entertainment, this month is the final performance of the Greatest Show on Earth. The Barnum and Bailey Circus is closing after nearly a century and a half. It was founded in 1871 and was the premier name in live performances of animals and acrobatics throughout the 1900s. Lamentably, social activists successfully blackmailed the circus into dropping elephants from their acts one year ago. Given the victory of craven sensitivity over simple common sense radicals indicated other wild beasts would be their next targets. Effectively, this ended the circus as it has historically been constituted. Apparently unconsidered by reactionaries was who will mature to love animals when current youth has no connection with them. While a few people may make lengthy journeys to zoos to see such creatures, it was the circus which came to its patrons. The maxim in America has always been you can see something better on television than you can in person, which may be accurate. However you cannot feel it, or smell it or taste it. In a another twenty years the true ramifications of unintended consequences will arrive when the elephant is near extinction and the response from an entire generation will be that they simply do not care. Unless a thing is a part of you it is apart from you and, however majestic, a photograph of an elephant will never have the impact for youngsters of petting or riding upon one. Thus fragile splendor dies by righteous indignation. In France, among many other changes such as enclosure of the Eiffel Tower to guard against terrorists, is scheduled cessation of the Le Train Bleu line. The famed luxury sleeper began running between Paris and Nice in 1886 and remained the standard until 2003 when its service was discontinued. As of today there is still a lesser night train on the Bleu route though that too is to be retired later this year. Having taken the journey more than once, all readers are encouraged to avail themselves for as long as it is possible. Following this, the last vestige of sophistication will be the eponymous restaurant in the Gare de Lyon from which chic passengers once departed. As if to put a period on the era Emma Morano of Italy recently passed away; the last person alive from the 1800s. Being born in November of the last year of the Nineteenth Century she lived nearly the entirety of her life in the Twentieth. The changes witnessed were expansive for a girl from a small village. Aside from automobiles, airplanes, and space travel were smaller and often overlooked introductions such as toothbrushes, sliced bread and canned soup. Another of the great developments during that time was radio, which can be regarded as an avatar for an age. No one would dispute wireless service saved countless lives and improved the world in many ways. However, the fact remains there were numerous things of value left in its wake. At one time there endured a plethora of regional dialects spanning the globe, in England especially. Until the early part of the previous century there existed an island on which the inhabitants yet spoke Olde English in manner of The Bard (Shakespeare). Researchers at the time implored its people to avoid radio to preserve their unique heritage, though this was of course unrealistic. Within a few years the mode of speech which had endured a thousand more had become closely akin to the bland talk we hear today. Many are of an opinion the world is becoming better as people live longer and this is, strictly speaking, true. Yet based on any other metric, such as quality of life or happiness, the world is becoming worse all the time. The charming aspects are replaced by the repugnant and the common. Even those individuals residing in the very few areas where modernity has not oozed frequently fall victims of wretched modernists who are incapable of replicating loveliness and are therefore hysterically offended by its creators and custodians. Those who cannot emulate inevitably seek to destroy. As such contemporary society, America especially, is a gang of Ellsworth Tooheys. 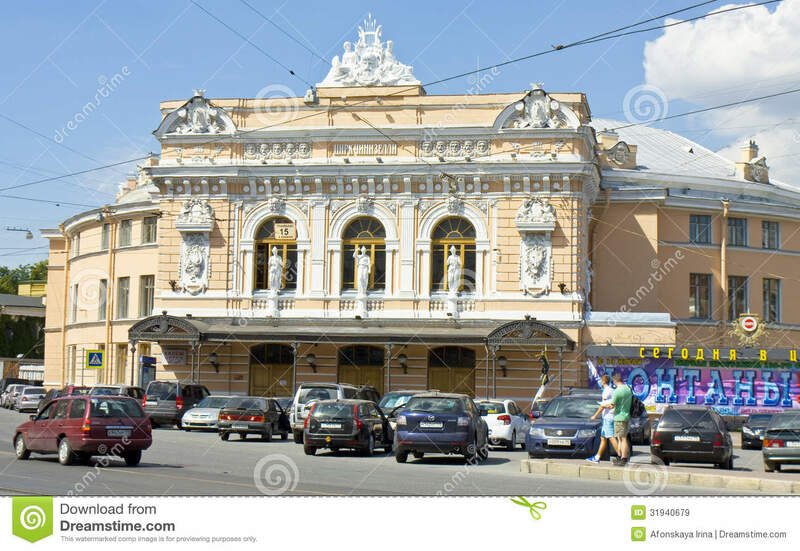 Yet, for those looking to experience the grand and the glorious there is one city which remains following the capitulation of Paris to the Caliphate and the swamping of Venice with Cunard liners - St. Petersburg. Not merely the most beautiful architectural city left on earth; but the soul of grace endures here. 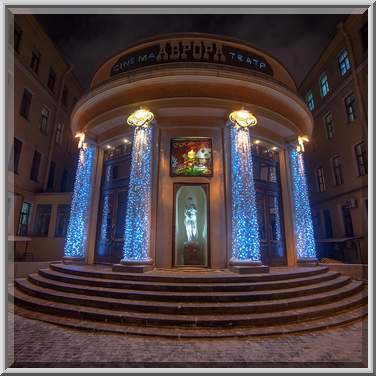 The neoclassical circus still stands and offers performances daily to those bored by the Bolshoi. The Aurora cinema, first in the nation, continues to project films on its silver screen. Likewise, the Astoria and Grand Hotel Europe each welcome guests into the comfort of exquisite grace. If the old proverb is, "See Naples and Die," then the mantra of Russia is, "See St. Petersburg and Live!" Given the dilapidated state of this world there is no other place worth doing so.